I. 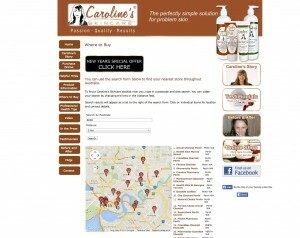 Company Info Caroline’s Skin Care is one of the award-winning companies in Australia that offers effective skincare products. Caroline Monet, the creator and founder of Caroline’s Skin Care, created a cream for skin problems and it seem to work effectively. And at this very moment, thousands of people from different places are finding welcome relief and solutions for several skin conditions by using Caroline’s Skin Care products. II. 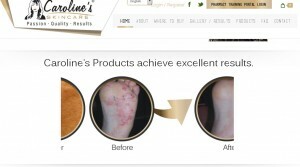 Project Overview Caroline’s Skin Care has been in the skin care industry in Australia for almost 11 years, and has built up an exceptional status with customers who are suffering from different kinds of skin diseases because their products seem to have a great effect on their skin conditions. Given that Caroline’s Skin Care has developed a good reputation in the business, they have decided to change the layout and appearance of their website to make its online presence more professional with the help of our company, BMC Solutions. Here’s a screenshot of Carolineâ€™s Skin Careâ€™s OLD website: Caroline’s Skin Care contacted BMC Solutions to revolutionise the look and feel of their website including enhancing its online visibility and making it mobile responsive allowing audiences and potential clients to have a bigger possibility of acquiring more information from their website reflecting the websites main purpose, to provide quality and effective products and services to their customers. But prior to carrying on with the process of developing Caroline’s Skin Care website, we initially made a study concerning the company’s target market and audience for us to know what’s best and effective for Caroline’s Skin Care website. III. 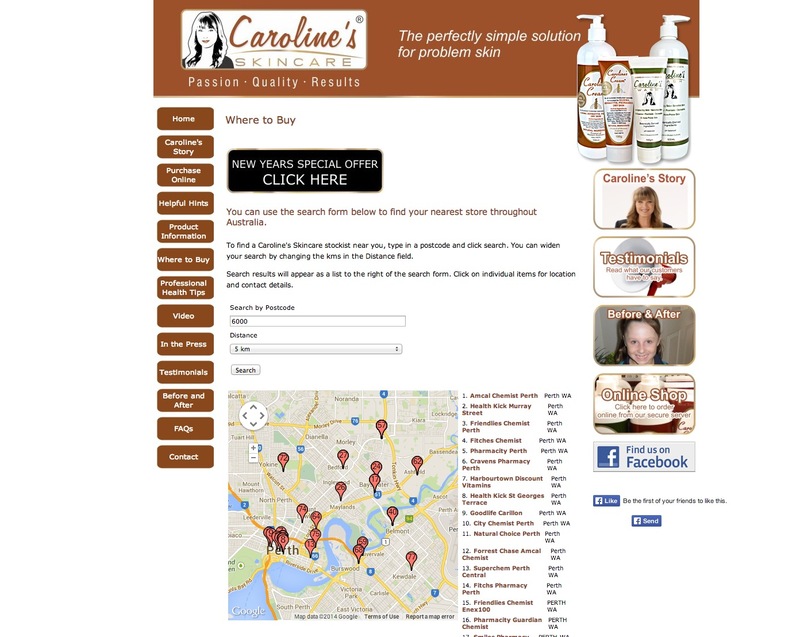 Our Solution We set up Caroline’s Skin Care website with the use of a mobile responsive theme that emphasizes the company’s call to actions, latest offers and other important purposes well. Aside from giving the website a more professional look by redesigning its logo and other features, we have also incorporated the website with an array of helpful sections which are listed below. 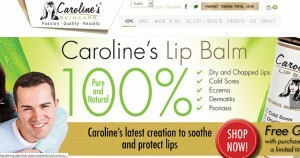 A slide that shows the results of using Caroline’s Products to show potential clients and audiences how effective their products are. A featured slide of testimonials from happy and satisfied customers that will prove the efficiency and positive results their products are providing to customers. 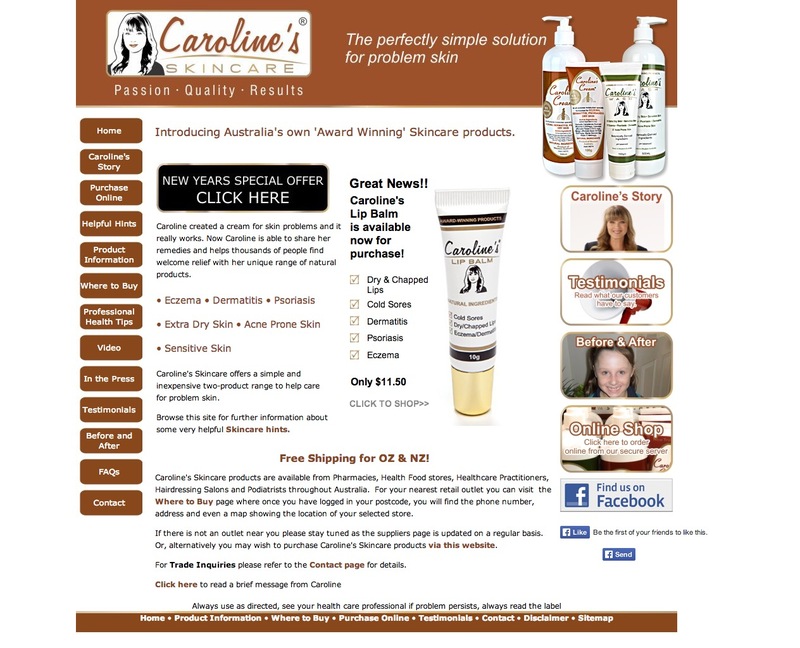 Newsletter sign up field that will help their customers to become more updated from the latest news, product offers, and deals from Caroline’s Skin Care straight to their inboxes. A huge slide of call to actions for a more effective sales and lead generation which also serves as the Landing Page of the website.